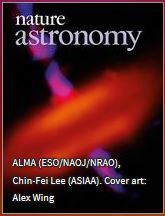 Nature Astronomy is a truly multidisciplinary journal for the field, representing — and fostering closer interaction between — all of the key astronomy-relevant disciplines, by publishing the most significant research, review and comment at the cutting edge of astronomy, astrophysics and planetary science. 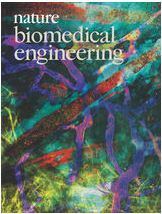 Nature Biomedical Engineering publishes original research, reviews and commentary of high significance to the biomedical engineering community, including bench scientists interested in devising materials, methods, technologies or therapies to understand or combat disease; engineers designing or optimizing medical devices and procedures; and clinicians leveraging research outputs in biomedical engineering to assess patient health or deliver therapy across a variety of clinical settings and healthcare contexts. Nature Ecology & Evolution is interested in the full spectrum of ecological and evolutionary biology, encompassing approaches at the molecular, organismal, population, community and ecosystem levels, as well as relevant parts of the social sciences. 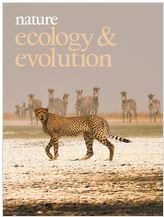 Nature Ecology & Evolution provides a place where all researchers and policymakers interested in all aspects of life’s diversity can come together to learn about the most accomplished and significant advances in the field and to discuss topical issues. 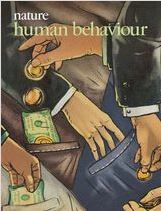 Nature Human Behaviour will publish research of outstanding significance into any aspect of human behaviour, its psychological, biological, and social bases. Nature Human Behaviour will feature a broad range of topics, including (but not limited to) perception, action, memory, learning, reward, judgment, decision-making, language, communication, emotion, personality, social cognition, social behaviour, neuropsychiatric/neurodevelopmental/neurological disorders, economic & political behaviour, belief systems, social networks, social norms, social structures, behaviour change, collective cognition and behaviour, culture, public policy. 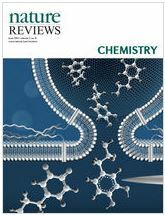 Nature Reviews Chemistry aims to cover both the traditional core subjects of the field — organic, inorganic, physical and analytical chemistry — while also providing insight to non-specialists where chemistry is a significant component of interdisciplinary research. These topics may include but are not limited to: chemical biology, chemical physics, materials science and nanotechnology. The journal also aims to bring to the attention of its readers topics beyond academic research with particular focus on chemistry education and research outside the academic environment. This entry was posted in New e-resources and tagged Nature Astronomy, Nature Biomedical Engineering, Nature Ecology and Evolution, Nature Human Behaviour, Nature Reviews Chemistry, online ISSN 2157-846X, online ISSN 2397-334X, online ISSN 2397-3358, online ISSN 2397-3366, online ISSN 2397-3374 on July 24, 2017 by eresources. The Library has taken out a subscription to BMJ Simulation & Technology Enhanced Learning. BMJ Simulation & Technology Enhanced Learning focuses on the use of simulation and innovative technology as an educational method or intervention for professionals in all areas of health and social care education, workforce development and quality of care. The journal seeks to contribute to research, innovation and knowledge translation for practitioners, teachers, students and leaders in all health and social care professions who wish to improve clinical outcomes, patient experience, and safety. This entry was posted in New e-resources and tagged BMJ Publishing, BMJ Simulation & Technology Enhanced Learning, e-journal, Online ISSN: 2056-6697, ssociation for Simulated Practice in Healthcare (ASPiH) on July 12, 2017 by eresources. We have purchased the 2017 copyright year collection of Royal Society of Chemistry e-books, the initial batch of published books are now available in DiscoverEd. Additional titles will be added to DiscoverEd as they are published throughout the year. A full list of the e-books can be found in the spreadsheet here. This entry was posted in New e-resources, Updates and tagged e-books, Royal Society of Chemistry, RSC on July 3, 2017 by eresources.